We invite you to join us on Saturday, January 12th, 2019 for a one-day in-depth learning experience. Organic Intensives are an opportunity to acquire practical, detailed information over the course of a day with fellow Michigan farmers and gardeners. 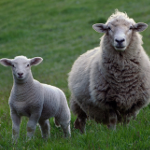 Matt Shane, organic sheep farmer and MSUE livestock educator will discuss organic monitoring and treatment to maintain a pastured flock of small ruminants in optimum health in an organic system. Karry Trickey, NRCS district conservationist, will cover soil, soil biology, and pasture management techniques for rotational grazing. Mike Metzger, small ruminant educator with MSUE, will discuss meat and dairy goat production. Aimee Swenson Buckley, a dual-purpose small flock sheep producer, will cover decision-making for small scale sheep producers—from breed selection to improving market access. Whether you're experienced in raising small ruminants or just thinking about adding a few sheep or goats to your operation, join us to learn more about grassland and ruminant management for health. See the flyer for more information. Learn how to grow gourmet mushrooms from mush­room scientist Chris Wright and long-time mushroom grower Michael Levine. Adding mushrooms to your diversified farm or backyard garden can be rewarding both financially and nutritionally. 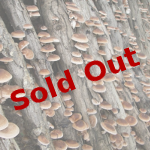 Chris and Mike will share their expertise and teach how to inexpensively grow oyster, shiitake, morel and other lucrative, high demand fungi. Presentations will include a brief overview of fungal biology and then focus on cultivating mushrooms via log, straw and mushroom bed production systems. The program will include hands-on demonstrations. See the flyer for more information. These tools are helping organic farmers get their crop off to a better start, cultivate to closer tolerances, and do better field work. 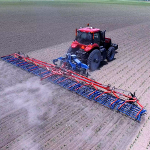 Although these tools may have to go on the wish list for now, organic growers should make themselves aware of the newest technology. See the flyer for more information. We all manage soil, and we all strive to improve it year by year. But often our efforts amount to a scattershot approach, addressing one aspect in one year, and switching gears the next without evaluating the effectiveness of our interventions, or continuing to monitor the state of the soil or the health of the crop. Soil health is measured multiple ways: fertility testing, mineral testing, biological assays and plant productivity. Understanding how to interpret these results and put them to use to improve soil health and plant health is critical to sustainable success. 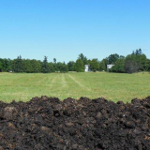 Dan Kittredge of the Bionutrient Food Association will entertain attendees for the day on soil testing interpretation and strategies to improve, maintain and monitor soil health, with an underlying message of improving food quality. See the flyer for more information. The event will take place on Saturday, January 12th, at the Plant and Soil Sciences building on the MSU campus in East Lansing. The cost is $90 for MOFFA members and $105 for non-members, and covers six hours of learning, lunch, breaks, all printed materials, and a great chance to network with fellow farmers and gardeners from across Michigan. Parking is free at the Plant and Soil Sciences Building. A limited number of scholarships are available; to apply please email moffaorganic@gmail.com. A block of rooms has been reserved at the TownePlace Suites Marriott, 2855 Hannah Blvd., East Lansing, MI 48823, just one mile from the Plant and Soil Sciences building. Room availability was only guaranteed through December 12th, but the conference rate of $109 per night continues to be in effect; mention MOFFA when you call. We suggest you contact the hotel as soon as possible at 517-203-1000 to be sure you get a room if you will need one. Please help us publicize the event by downloading the brochure or the flyers (general, livestock, mushrooms, field crops, or soil) and distributing them in your community. If you'd like us to send you pre-printed brochures or flyers, please let us know. Organic Intensives would not be possible without the sponsorship of companies and foundations who support our work. If you are interested in sponsoring Organic Intensives and our other activities, please see the Sponsorship page. We encourage you to think of these companies when you're in the market for the products and services they provide, and thank them for their support of MOFFA.